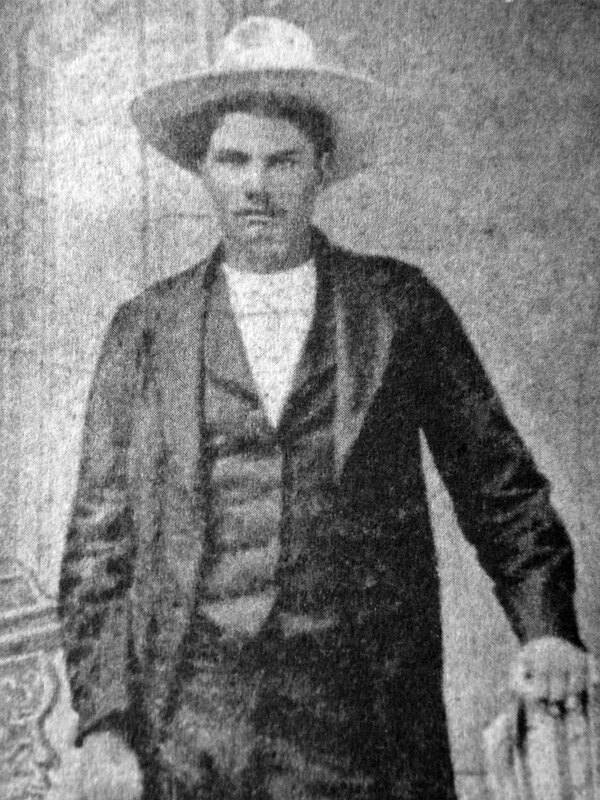 John Wesley Hardin was born on May 26, 1853, in Bonham, Texas. His father was a Methodist minister. John Wesley was probably the most dangerous of all of the gunfighters. The first man he killed was an African-American who refused to get off a public road when he passed. The killing was supported by his neighbors who did not consider it a crime. Hardin next ambushed three Union soldiers, killing them all. Soon after reaching 18 years of age, he was lured into a barn by a beautiful young girl with her boyfriend waiting to rob John Wesley of his money. Once he entered the barn the robber pointed a shotgun into his ribs and demanded his money. Hardin baited the robber by dropping money on the floor and when the robber bent down to get it he shot him dead. Next Hardin was arrested in Marshall, Texas. He then killed his guard and escaped. Soon afterward, 3 state policemen tracked Hardin down and took him into custody. While they were taking him back to the jail they were forced to camp for a night. Unfortunately, they fell asleep and Hardin killed them all with one of their own guns. At this time most of his family told him to flee to Mexico, but instead he joined a Kansas cattle drive. While on the cattle drive bodies piled up very fast. First he encountered two Native Americans who wanted to tax the herd 10 cents a head. He killed them both. Then when Hardin's herd intermingled with another herd and it was difficult to tell who owned which cows, Hardin challenged the other trail bosses. He told them that if they wanted the cows then they were going to have to kill him. Both sides charged each other on horseback, and when it was over Hardin had killed 5 of them. Then, during the summer of 1872, Hardin argued over a gambling bill with Phil Sublet. Sublet drew first, emptying a shotgun into the surprised Hardin. At the time Hardin was still wanted for the murder of the policemen. Wounded and bleeding he fled with the law on his trail. He was subsequently captured and again shot. This time it was in the knee. It took a couple of months for his wounds to heal, but when they did someone slipped him a saw and he cut his way free. As he fled, another deputy sheriff from Brown County named Charlie Webb caught up with Hardin in a bar. The two met and shook hands, and when Hardin turned his back Webb fired hitting Hardin in the side. Hardin in turn shot Webb, and his cousins who were with him fired several more shots into Webb. At this time the state offered a $4,000 reward for his capture. Not long afterward, Hardin was captured on a train just outside of Pensacola, Florida. He was then found guilty, and served 15 years in prison. After his released from prison Hardin decided to become a lawyer. One day a former prostitute named Helen Beulah Morose showed up in his office in El Paso, Texas, and asked him to represent her husband Martin Morose. Martin Morose was a cattle rustler who had fled into Juarez, Mexico, just ahead of a lynch mob. Before long, Helen and Hardin became lovers and Martin Morose became very angry. As a result, two of Morose's friends challenged Hardin to show his face in Juarez. Shortly afterward, Hardin, Jeff Milton, the El Paso chief of police, and George Scarborough, a United States deputy marshal crossed into Juarez to look for Morose. There in a bar Hardin got in a fight with Morose's two close friends. They were saved when Milton took a gun away from Hardin. After returning to El Paso, Hardin offered Milton and Scarborough $1,000 dollars to kill Morose. They killed Morose on a bridge over the Rio Grande River. Hardin died not long after when he was shot down by John Selman in the Acme Saloon in El Paso, in an argument over the arrest of Beluah.